Atlas was a commissioned piece that I created for Derby’s Deda in its 20Years celebratory event, in which I explored Derby’s modern hip-hop dance scene in a series of 24 abstract and expressive images. Featuring dancers from Derby’s Baby People dance classes - the dancers show that they can incorporate various styles of dance into their own unique Hip-Hop technique. The collection flows in a way that is reminiscent of tapestry, dance movement, and even time in its 24 images. All the images were captured in one evening during July 2018 - dancers were encouraged to be themselves and dance freely. Atlas is my interpretation of the freedom and empowerment that the dancers told me they felt whilst dancing. Image: Marley Butler of ‘Naplew’ interviewing me on the launch night. 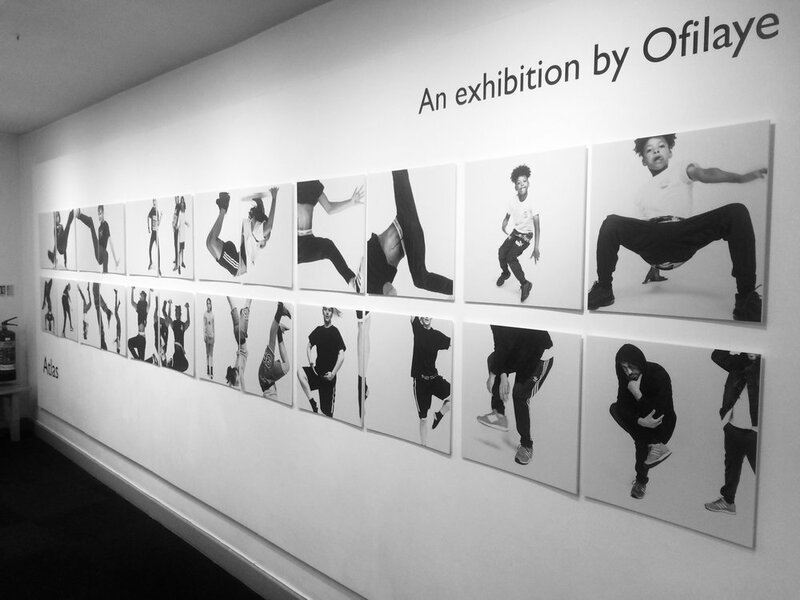 Exhibition by photographer Ofilaye for a Déda exhibition celebrating it's 20 years anniversary. | Commissioned by Andrea Hadley-Johnson. | Chevy explored Derby's modern Hip Hop culture with dancers from Trinity Warriors.